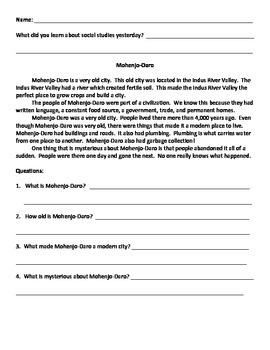 These easy summaries can be used with an ancient civilizations unit. They are designed for English Language Learners and low readers. This series includes seven summaries: "India's Geography," "Buddhism," "Mohenjo-Daro," "The Aryans," "Hinduism," "The Mauryan Dynasty," and "The Gupta Empire."